Global Trends is the Intelligence Community’s major assessment of the forces – and choices – shaping the world over the next two decades. I was tasked with designing the first online, accessible, Global Trends report in the publications tenure. I was given 1 month to conduct UX research, set a design direction, and work with a remote development team meet the deadline for the launch of the report. 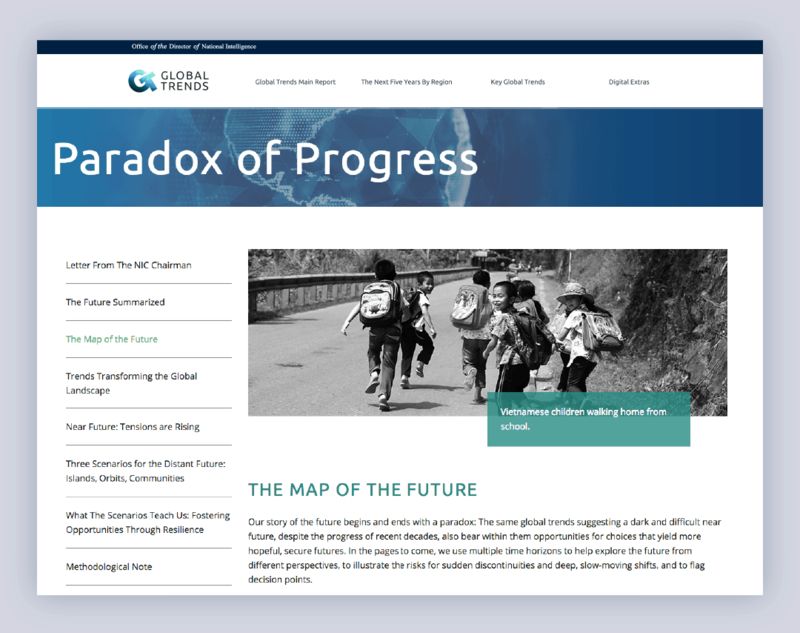 ?When designing the homepage, I looked to pull elements from the entire Global Trends brand, & walk the user through the history behind the NIC and behind the report. The site launched allowing foreign governments to view the publication in a timely manner. Note that because of certain governmental hurdles the design wasn’t completely created to specification. 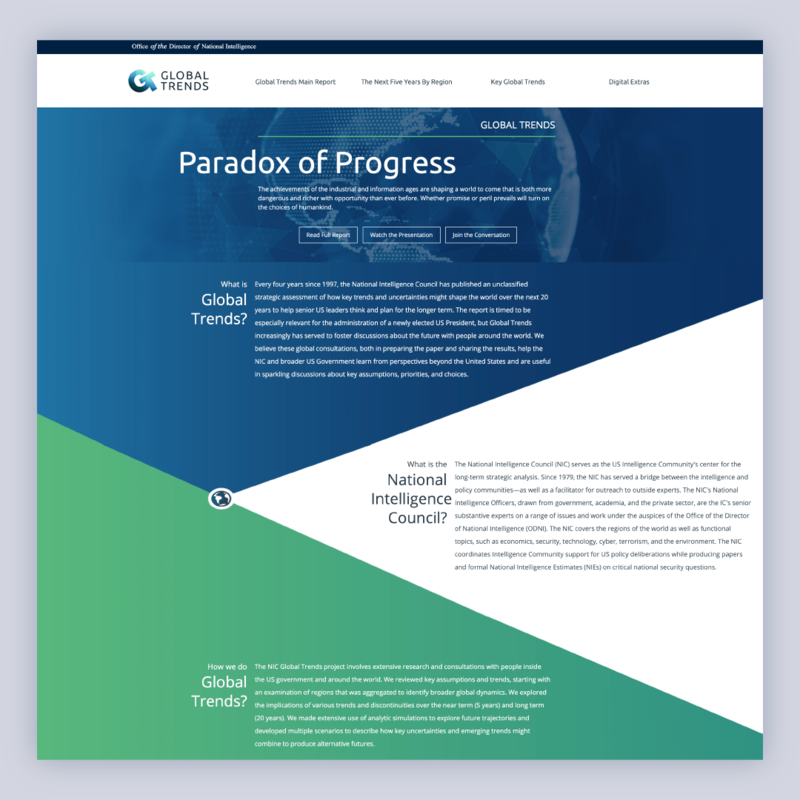 However, the client was very pleased with the website, and there are already plans in place to begin preparations for the next Global Trends Report.